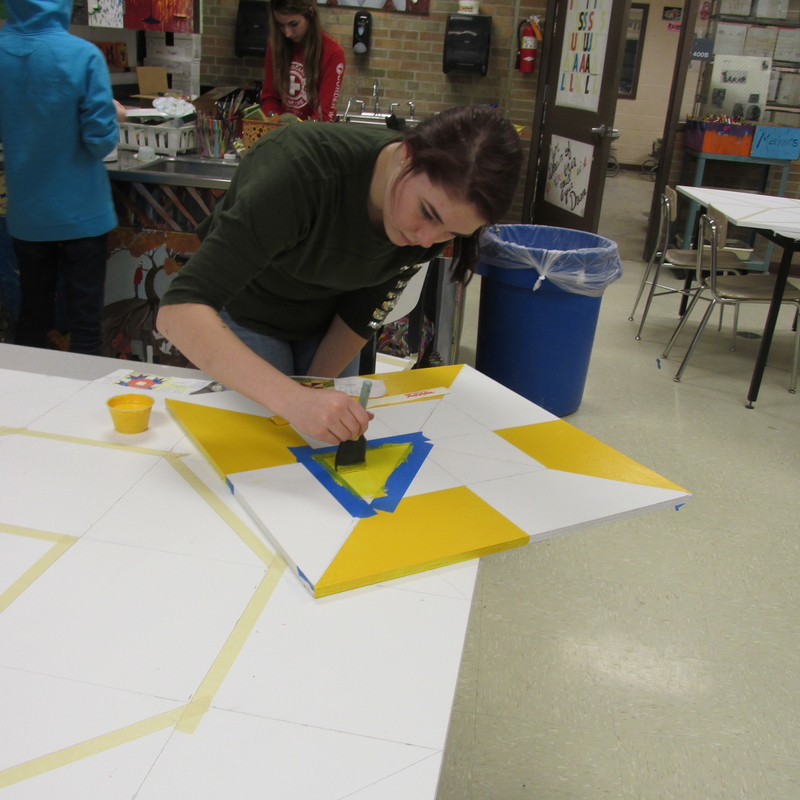 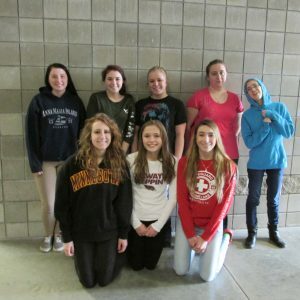 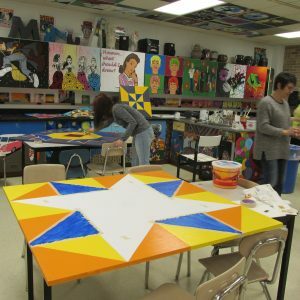 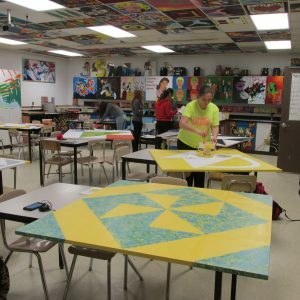 Students in the Art II Design class at Staples-Motley High School are busy making barn quilts for businesses and non-profits in the area. 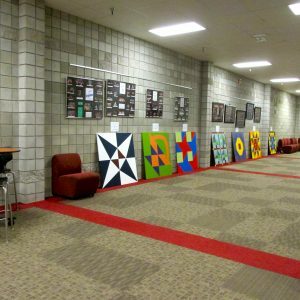 Businesses are purchasing the barn quilts and non-profits are receiving them through a grant from the Staples Motley Area Arts Council and, by the voters of Minnesota through a grant from the Five Wings Arts Council, thanks to a legislative appropriation from the Arts and Cultural Fund. 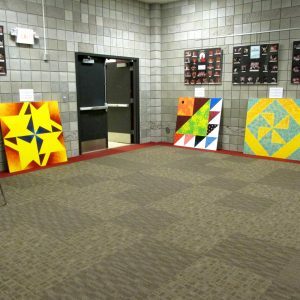 An art display of the finished quilts was held on March 18th at Centennial Auditorium in Staples.